A new study from the ESRI and the Department of Finance finds that GDP in Ireland ten years after Brexit will be around 2.6% lower in a Deal scenario, 4.8% lower in a No-Deal scenario and 5.0% lower in a Disorderly No-Deal scenario respectively, compared to a situation where the UK stays in the EU. This implies a slower pace of growth with negative consequences throughout the economy. The results indicate that employment, in the long-run, would be 1.8% lower in a Deal scenario, 3.2% lower in a No-Deal scenario and 3.4% lower in a Disorderly No-Deal scenario respectively, compared to a situation where the UK stays in the EU. There is more uncertainty about the short-run impact of Brexit as it depends on how smooth any transition to the new trading arrangements will be. Results indicate that by 2020, the level of real output in the Irish economy would be 0.6 per cent, 1.2 per cent and 2.4 per cent lower in the Deal, No-Deal and Disorderly No-Deal scenarios, respectively, compared to a situation where the UK remains in the EU. In the Deal scenario, the UK makes an orderly agreed exit from the EU. This involves a transition period to the end of 2020, and a free trade agreement between the UK and the EU-27 being in place thereafter. In the No-Deal scenario, the UK exits the EU without a deal but there is an orderly period of adjustment for trade. Ultimately, WTO tariff arrangements will apply to goods trade, there will be non-tariff measures, and services trade will also be negatively impacted. 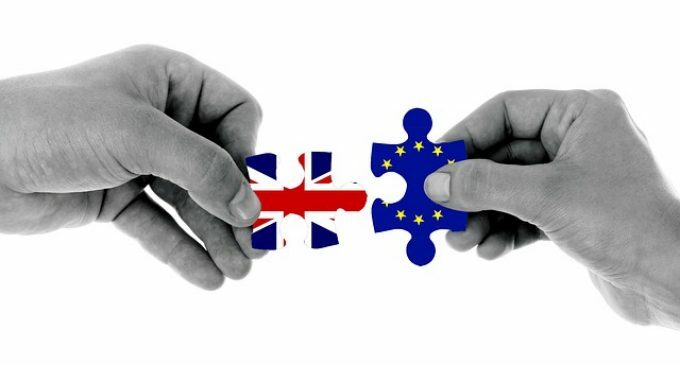 In the Disorderly No-Deal scenario, the UK exits the EU without a deal and there is an additional disruption to trade in the short-run, above that considered in the No-Deal scenario. The study estimated the impact of Brexit on the Irish economy by focusing on the impact to trade, incorporating the impact of tariff and non-tariff measures, and the potentially positive impact of FDI diversion to Ireland. The study assesses the impact of lower UK-EU trade on Ireland’s main trading partners and finds that it would severely reduce the demand for Irish exports. The research also finds that Ireland might benefit from the relocation or diversion of FDI from the UK which would raise GDP. Ultimately, while the FDI effect is expected to have a positive effect on Ireland, the positive impact is outweighed by the negative trade effect.